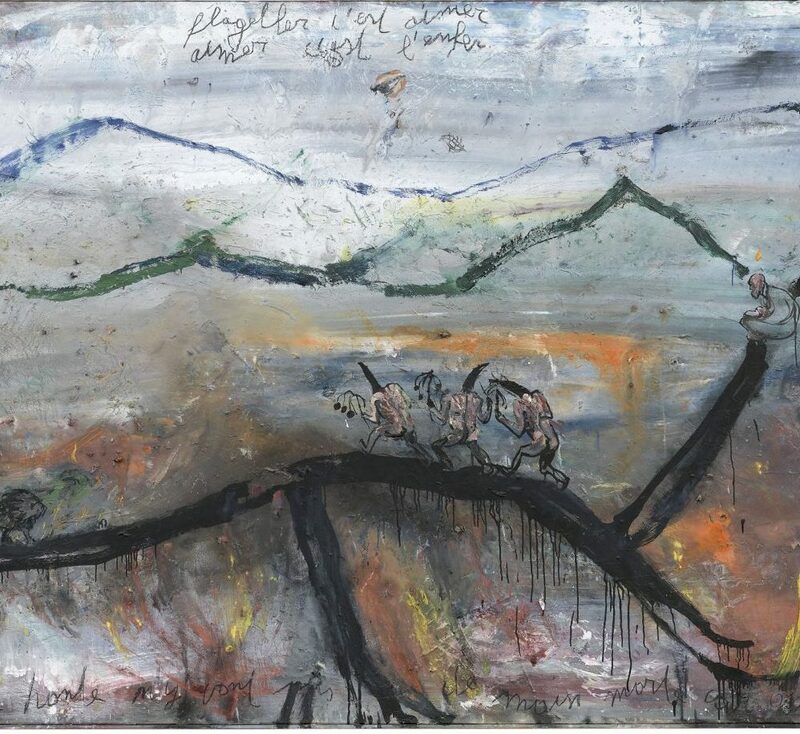 The Kunsthaus Pasquart is showing the most comprehensive exhibition to date of the work of the Flemish artist Philippe Vandenberg (1952-2009, BE), in collaboration with the Hamburger Kunsthalle, where the exhibition was presented from 16.11.2018 to 24.2.2019. It is the first institutional exhibition of his work in both Switzerland and Germany. Highly acclaimed in his home country of Belgium as one of the most important artists of the last few decades, Vandenberg produced a radical and uncompromising œuvre that is just now achieving greater international acclaim. The extensive retrospective comprises some 70 paintings and 80 drawings and prints from the period 1995 to 2009. Many of the works on loan come from the artist’s estate and are now being presented to the public for the first time. 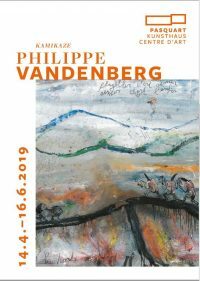 During his lifetime Philippe Vandenberg was celebrated in particular for his expressive, figurative canvases and rhythmical abstract works that coincided with the widespread renewal of painting in the early 1980s. The exhibition concentrates on the second half of Vandenberg’s career – on the period from 1995 to 2009 – in which the artist moved back and forth between figuration and abstraction, while developing a number of themes and working methods. The drawings selected for the exhibition prove him to be an extremely prolific and talented draughtsman. Whereas painting was necessarily a grander statement, drawing for Vandenberg had a mystical, almost religious quality. Vandenberg drew from the mid-nineties, primarily using pencil, ink, gouache and watercolour. Most of his drawings from this period are more than preliminary studies and can be considered as autonomous images. It was above all through drawing that Vandenberg found solace from his inner turbulence. The hundreds of books that he filled with drawings almost on a daily basis from the mid-nineties show above all special motifs and forms that he explored in repetitive variations. The exhibition is a collaboration with Hamburger Kunsthalle. Brigitte Kölle, Head of Collection Contemporary Art Hamburger Kunsthalle, and Felicity Lunn, Director Kunsthaus Pasquart. The exhibition is accompanied by a richly illustrated publication (DT/ FR / ENG), edited by Brigitte Kölle and Felicity Lunn, with texts by Harald Falckenberg, Josephine Karg, Brigitte Kölle, Felicity Lunn, Johannes Muselaers and Marek Wieczoreck. Approx. 100 illustrations, 272 pages, hardcover. Uitgeverij Kannibaal editions, Belgium, 2018. In short video clips we let talk Philippe Vandenberg himself. The artist comments important motives, techniques and themes of his works.